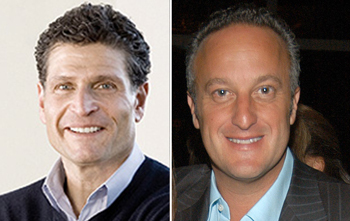 UPDATED: June 20, 12:23 p.m.: Atlantic Development Group’s co-founders Marc Altheim and Peter Fine are back in court. Altheim, who sued Fine in 2014 for allegedly diverting funds from the company, filed a new suit to compel his business partner to pony up $3.5 million — the amount an arbitrator awarded to Altheim in May. In his 2014 suit, Altheim claimed that Fine improperly diverted proceeds from the sale of 421a certificates worth tens of thousands of dollars a piece. (Prior to the recession, the affordable housing developer made millions of dollars by selling 421a certificates to developers Larry Silverstein and Joseph Moinian.) According to Altheim, Fine also failed to give him access to Atlantic’s books, and Fine cut him out of a deal by personally buying certain notes that should have been jointly purchased by the company. Last month, a court arbitrator upheld the allegations and ordered Fine to pay $3.475 million for breach of fiduciary duty and failure to account for company assets. Altheim and Fine co-founded the affordable housing development firm in 1995. While Altheim stepped away from the company’s day-to-day operations in 2011, he retained a 20 percent ownership stake. Fine owns the other 80 percent. In 2010, the firm faced allegations that Fine paid for political favors. A spokesman for Fine said Altheim has “lodged a series of unfounded accusations towards the 100-plus companies of which he is a minority owner, despite the increasing value and distributions of the portfolio.” According to the spokesman, the arbitrator overruled most of Altheim’s claims except for two, granting Altheim, who retired to pursue a career in beach tennis, a fraction of the money he was seeking. “The litigation was an enormous waste of time and resources and a reflection of the sad state of one man’s aimlessness in early retirement,” the spokesman said. Earlier this year, Fine filed a lawsuit asking a judge to approve his $13 million purchase of a Lower East Side nursing home and synagogue building at 25 Bialystoker Place. Fine and Rabbi Samuel Aschkenazi, president of Sages of Israel, reached an agreement in 2014.